Indesco undertook the initial stormwater investigation for flooding issues in De Chair and Macgregor Streets. The study revealed that the cause of the flooding was insufficient pipe and sump capacity and the lack of a safe overland flow path for flows in excess of these capacities. 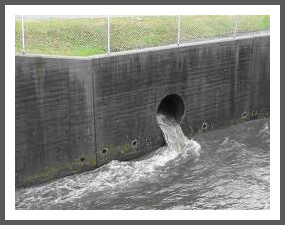 The proposed remedial measures included augmentation of the existing stormwater system and disposal of the stormwater captured by the augmented system. The augmented system consisted of new pipes to be laid within Macgregor Street from Jervois Street to Le Hunte Street and the upgrading of sumps within Jervois and Buxton Streets. The construction of the stormwater works was implemented in two stages. For both stages Indesco were engaged to manage he tender phase and provide recommendations for the appointment of the head contractor. Indesco also acted as construction superintendent providing construction phase services for both stages. · Managing public relations issues including noise impacts and service disruptions.